Recently, I listened to Episode #127 of the Afford Anything, But Not Everything podcast with host Paula Pant titled, “Four Unhealthy Attitudes Towards Money” with special guest, Dr. Brad Klontz. I was immediately triggered! 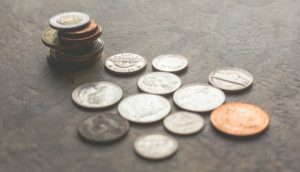 How many times have you heard the phrase, “We can’t afford it?” What about, “Money doesn’t grow on trees?” I am very familiar with these phrases which made me feel like I would always be financially insecure. We are already programmed to believe that this is normal. Because of this so-called norm, according to Dr. Klontz, we often sabotage our success. What would happen if we shifted our mindset about money? Instead of believing this status to be inevitable and irreversible, do something to change your circumstances. This concept goes back to the meaning behind the title of Pant’s podcast. Her mantra is “You can afford anything, but not everything.” If you are earning and saving money for that particular thing of importance, you can afford it. You may want more than one thing at a time, but you have to prioritize. What’s more important to you? I had a conversation with a good friend of mine who desperately wants to take a vacation. He said that his student loans are blocking him! I shared with him the monthly amount that I pay in student loans, a whopping $600. My hand shakes every time I write that check, but I pay it ON TIME every month. I told him that I understand. I also suggested that he reevaluate his activities, readjust, and save for a vacation. This means that he will have to be disciplined and sacrifice. What’s important to you? Dr. Klontz also touched on the topic of worshipping money. We believe more money will solve all of our worldly problems. When in fact, more money causes more problems for some people. If you can’t manage your money on a small budget, chances are more likely than not you won’t be able to manage a larger income. Consider putting that extra earned income into your savings and continue to live as if you never received a raise. I was definitely guilty of the “money status” attitude by living a life that I could not afford nor could I sustain at the time. When you have more things, you attract people in a specific social status. As Pharrell would sing, “I was just frontin’”. Is it really worth going into debt to impress people who really don’t matter? The takeaway here is, “Your net worth doesn’t equal your self-worth”, said Pant. I would also equate this with self-esteem issues. I’ve even held on to a bad investment to project a certain image. Have you ever felt like you’re going to run out of money so you avoid spending or investing? I know the feeling. You have to spend money to make money sometimes, it’s just that simple. Dr. Kontz stressed that wealthy people do not live by these unhealthy money scripts. I would suggest that you surround yourself with knowledgeable people who will assist you with navigating these unfamiliar money territories. My biggest mistake was not seeking assistance when I know I needed it. Check out Episode #127 and let’s talk about it. What were your takeaways? Are you guilty of any of the above? By the way, have you heard Janell Monae’s album Dirty Computer? It’s hot! Such an interesting post about monetary matters. For me, saving is important and spending money just to show off is something I don’t recommend. Great post. I earn, invest and then spend later on. “You can afford anything, but not everything” this line is extremely true. We should always spend wisely. I have really never had a healthy relationship with money. It’s something I work on all the time. You can afford anything, but doesn’t mean you NEED everything! I earned, I spent what’s needed and what I wanted. But after these years and understanding some concepts of minimalist, it got me thinking every time before I plan to spend on something. “Do I really need this?”, “Will I still live happily without this?”. Most often, the answer is “no”. So I save lots of money not spending on the things that I don’t need or will not improve my life. Nowadays I prefer to spend on experiences like a holiday (helicopter tour, glacier hiking..etc), create a happy family memory) and invest wisely. Ultimately, spend on what’s matter to you the most! Yes! I’ve started waiting a few days before making purchases too. I love experiences! Went on my first helicopter ride last year! I love the concept of minimalism. Sometimes, people have things lying around that they never needed. Thank you for the feedback! I personally am guilty sometimes of living a life I could not afford. And being scared of investing. This help me realized these mistakes.. Very informative. That’s great if it works for you! Really nice insights and I wish I could read more about it. “You can afford anything, but not everything” – I love that line and am going to use it with my own family. For us, it’s so much about setting goals and putting our money to work meeting them. It’s not easy, but when we say we don’t have enough money to do something, we can remember that we still do have money, it’s just meant to be used for other things. Exactly! Her podcast is excellent and she busted so many myths that were ingrained in our psyche. Exactly! Her podcast is excellent and she busted so many myths that were ingrained in our psyche about money. I’m finishing up a master’s in economics and actually studied individuals’ willingness-to-pay for veterinary services as my thesis. I know it’s not quite the same as buying a new car, but it’s still very interesting. I find people are often willing to pay more for something than they necessarily have, which goes along with that whole “money status” thing you discuss. Super interesting post! Happy you’re improving your relationship with money! That’s not something everyone is willing to do! And I still have a lot work to do! Funny you mention veterinary services. My next post is about financial implications of raising a diabetic cat😳.. thank you for your feedback. I can completely related to the debilitating effects having to school loans to pay back. But there is also a mindset of ‘lack’ that can take over sometimes where people live as if they don’t have anything…therefore they’re not truly living. This is a great post. Thanks for sharing. Thank you for your feedback. School loans are the devil! Yup , start with creating a budget. spending and saving can be driven by so many personal reasons – it’s all so interesting!